Texas State demands that all car owners meet the minimum amounts of liability insurance limits. 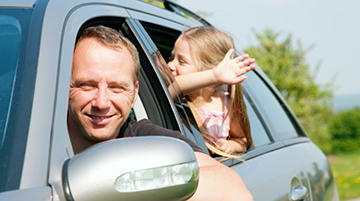 We write quotes for auto insurance including; collision coverage, liability coverage, towing and labor coverage, rental reimbursement coverage, uninsured/ underinsured motorist coverage, comprehensive coverage and additional coverage plans. Business insurance is a necessity for big and small businesses. Business general liability coverage offers protection in case of; employee injuries at work, professional mistakes and lawsuits, and settlements. Other coverage options are; fidelity insurance, business interruption insurance, and business property insurance. Homeowners’ insurance covers property loss and damage to or in an individual’s home. A standard policy covers the building structures and the content in the event of a covered peril such as theft or fire. It, however, does not cover ‘acts of God’ and ‘acts of war’ or damage resulting from poor maintenance. The different types of homeowners’ insurance coverage are; dwelling coverage, personal liability, and contents coverage. For additional coverage, homeowners may purchase flood insurance, other structures insurance, and earthquake insurance. Koda Insurance Group also offers the following covers. We provide our clients with all the information they may need before deciding on a quote. We are open to the experience we have, the types of quotes we write and whatever else the clients may need to know. Koda insurance group has always treated me like a person instead of a number or should I say policy number. They have always found the right value for "my" needs instead of getting me coverage I didn't need like the last company I had. I also like the fact that I can actually talk to a person and go to there office when I need help, so Koda being local is amazing. best insurance group ever. I've been with Koda Insurance Group for 1 year. They have been great. I switched to them because they are very easy to work with. Great customer service and response times to all my questions and inquiries. Very personable and they don't fill my mailbox with junk. I highly recommend them!!! Oh yeah.... They also saved me money! Jacob has done an awesome job of taking care of all our business insurance needs. He went above and beyond to get us set up quickly when we recently acquired another business. Professional and courteous at all times. I would highly recommend them for all your insurance needs. "This firm is a picture of dedication, commitment and teamwork. Brendan and Jacob have worked hard to build a team and an agency built on knowledge and great customer service and have built a team to prove it. Way to go, Koda Insurance Group! Thank you for helping me get my real estate clients the best coverage for the most affordable price and helping them to understand how to protect their assets!" "Great all around experience! I initially went with Koda Insurance Group because their pricing on flood insurance is significantly lower then competitors! What I did not realize is that i was getting insurance from a licensed Certified Financial Planner! CFP's are legally required to uphold a fiduciary responsibility for their clients. I would highly recommend Koda Insurance"
"Koda is such a great insurance company. If your looking for an honest Christian company, this is the one. Brenden is very knowledgeable and always looks for the best coverage for us.Stephanie is very friendly and courteous. Kristen was very helpful when we had to file a claim under uninsured motorist. When we had a question about our insurance payment. Kyla was very quick to help us and answer any questions. So happy we found Koda!" "We just moved to Abilene and found a house. Didn't know anyone here and picked KODA because I liked the ad. and couldn't possibly have found a better experience. Brendan Messenger took our call and what a nice, friendly and knowledgeable guy. I said I wanted to meet and get to know who I would work with and he said that's the way they want it also. He took all the time I needed and explained it all. This comment is real. I would encourage everyone to check them out." "I moved from California to Texas about a year ago. I am a senior citizen and have a limited income. Kyla was able to get my insurance moved and give me better coverages. She is great!! I would recommend Koda to anyone."